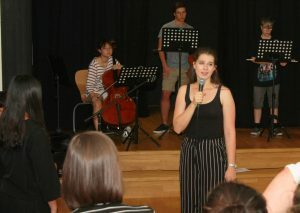 IBWISE is delighted to be hosted for its fabulous ‘Young Artists in Residence’ Summer Programme by partner IB World School Amadeus International School Vienna (https://amadeus-vienna.com). 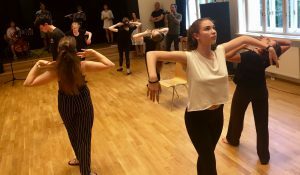 We are thrilled to offer once again our exclusive selection of arts-related IB summer workshops (IB GROUP 6 subjects) in the fields of Dance, Film, Music, Theatre & Visual Arts. Our wonderful and renowned IB experts, who will be assisted by young talented shooting stars (who are also IB alumni), will all be working alongside our international cohort from year groups 9, 10 & 11. YAIR is a fantastic opportunity for international students from around the world, aged 14-18 years, to live and enjoy performing and visual arts together! N.B. : Students can COMBINE the THEATRE, MUSIC, FILM, ART and DANCE Workshops with our PRE IB- or MID IB SUMMER regular REVISION COURSE !! At ‘Young Artists in Residence’ young lovers of the arts literally dive into the world of arts, whether it be painting, sculpting, collage, photography, classical or modern music, composition, pantomime, modern and contemporary dance, acting or musical performance. Students will have the extraordinary opportunity to work and create alongside with their peers, exceptional IB specialists and practicing artists, actors, musicians, dancers, film makers and gain a ‘real world’ hands-on experience in their personal fields of interest and take home invaluable personal and artistic enrichment, new skills and unforgettable memories. Our exceptional workshops will be guided by highly experienced and inspiring IB MYP & Diploma workshop leaders. Following the first 3 days of IB-centered workshops, students will have a sleep-in day with afternoon workshop-related trips to then continue their artistic journey into the 2nd 3-day IB module. 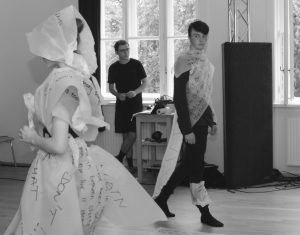 The culmination of all classes will be a student inspired Gesamtkunstwerk, or total work of art, involving contributions from the visual arts, music, dance and theatre masterclasses. Especially for the subjects Dance, Theatre, Film and Visual Arts we encourage PRE IB & MID IB students to choose any of these subjects solely for the purpose of immersing themselves into the Arts without necessary IB focus but simply for the unique experience of this unique creative opportunity within a protected third culture environment. As many of you know, disciplines such as Theatre and Dance are great ways to develop self-awareness, self-perception and most importantly self-presentation, which are all important skills we need in the complex world we live in. We therefore also invite slightly younger students (grade 9-11) to join our fun and experiential Dance, Theatre, Visual Arts or Film summer programme. 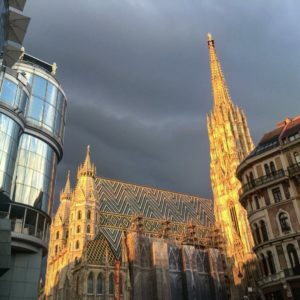 Vienna, often referred to as Europe’s cultural capital and the centre of classical music offers absolutely everything one can wish for as a young artist. Vienna is infinitely rich in art, performing arts and art history, avant-garde, and was home to a majority of the world’s most renowned classical composers, painters and poets, including Amadeus Mozart, Ludwig van Beethoven, Arnold Schönberg, Stefan Zweig, Franz Grillparzer, Gustav Klimt, Egon Schiele and Oskar Kokoschka. COMBINE our THEATRE, MUSIC, ART, FILM, DANCE Workshops with our PRE IB- or MID IB SUMMER REVISION COURSE !!! This immersive, rich and intensive IB Theatre experience gives PRE IB & MID IB students the opportunity to engage with the key elements of the IB Diploma Theatre programme and to practice the art of theatre making in a practical, collaborative and enjoyable way. Students will develop the skills required to succeed in the assessment tasks by exploring a range of approaches to creating, directing and performing. The experience, designed as a series of workshops, focuses on the requirements of IB Diploma Theatre and on developing an understanding of the key concepts of the programme through practice and application. The 2ndmodule of the workshop is designed to dive into making, performing and presenting theatre. 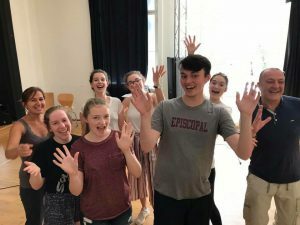 From the epic to the intimate, young theatre makers will be taken through a 3-day process of creating an original piece of site-specific theatre inspired by memory sites in the city of Vienna. 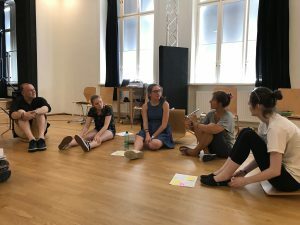 The experience will culminate in an imaginative, original and contemporary fully produced and performed piece of theatre which brings to life the participants’ ideas and Vienna as a site of memory. The workshop leader is nobody less than Dinos Aristidou. Dinos is a theatre maker, director, playwright and education consultant who specialises in working with educators, communities and young people, both in the UK and internationally. 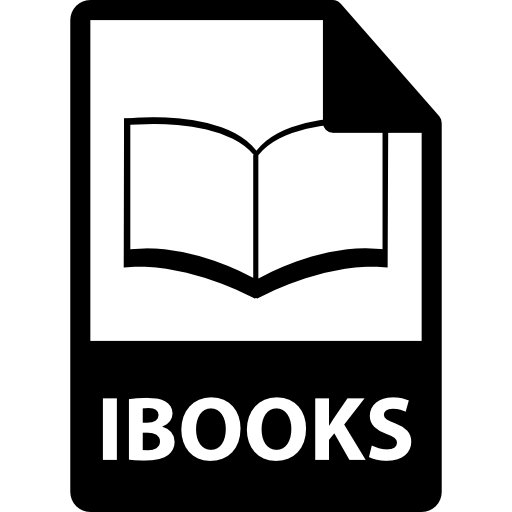 He is one of the most renowned IB experts and IB professional trainers around today. He is principal IB examiner and curriculum consultant for the International Baccalaureate Organistation (IBO). This class has inspired and influenced many PRE – IB and MID – IB students. 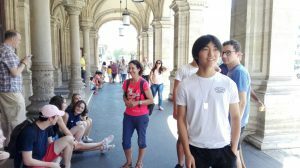 It is not only an outstanding opportunity for international students to be creative during the summer but is tailored specifically to guiding students with their IB Art coursework such as the investigation workbook and comparative study. It will reshape the participants’ approach to making and understanding art, the students’ ability to find, modify and develop ideas, and their ability to build up new information and directions that enable them to produce creative and original works of art. The course involves a continuous mix of the rich cultural resources in Vienna and studio work at the IBWISE campus. This makes the course ideal for PRE IB and MID IB Visual Art students, who wish to enjoy both the cultural experience of the “city of dreams”, shape their investigation workbooks and comparative study and develop several of their own exquisite works of art, that they can take back home as a memento of their stay in the city of Gustav Klimt, Egon Schiele and Oskar Kokoschka. 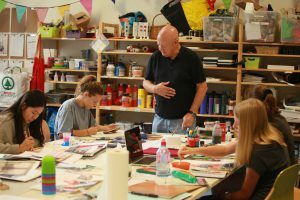 The workshop leader is Dr. Derek Pigrum, who for 30+ years has motivated and guided IB Art students. He has more than forty years experience as a painter, sculptor and ceramicist, is also an author and has conducted and published research into creativity for more than twenty years. Our second Visual Arts expert is Miriam Turek B.A., P.G.C.E. 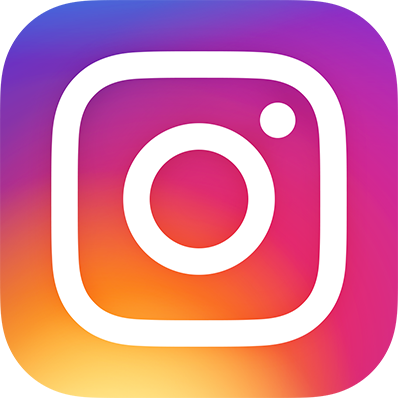 She is a highly experienced IB Diploma, A – Level and IGCSE Art teacher and is also an Art Examiner for Cambridge and the International Baccalaureate. She has been an IB Visual Arts Workshop Leader and an independent Arts Educational Consultant for many years, for 15 years she was Head of Art in International Schools and is currently the Principal at The Canadian School of Warsaw. Ms. Turek is also a professional Fine Artist with a passion for equestrian art. The IB Music Workshop is an excellent opportunity for PRE IB & MID IB music students to develop and enhance their skills in creative and performance areas of the course and to gain an insight into interpretation of music of various styles. 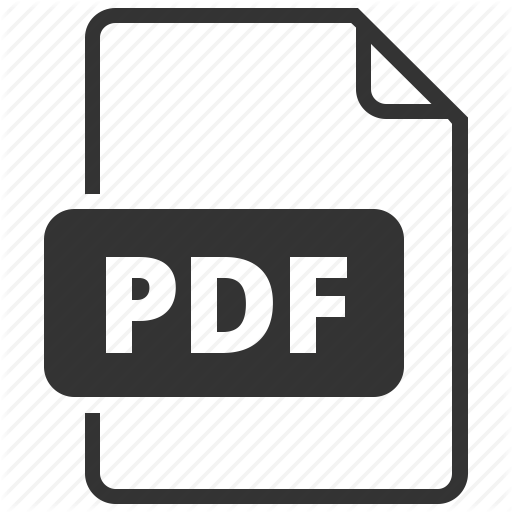 Students will also have the opportunity to gain a greater understanding of what is required on the listening paper and will have the chance to practice questions on both the Set Works and the Un-prepared listening. Students will learn new skills in arranging, improvising, music technology and stylistic techniques, as well as how to start, continue and perhaps complete a composition. Students will be given the opportunity to use and learn music software programs such as Sibelius and Logic. The workshop will also help guide students towards a better understanding of “what makes a good performance” and ‘how to choose’ the most suitable option per personal interests and skills. There will be sessions to discuss and share ideas for the research project The Musical Links Investigation. 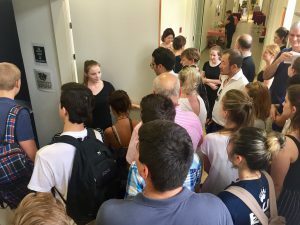 Students will be able to work in small groups and gain ideas from various visits to concerts and exhibitions, such as the Arnold Schoenberg House or Mozart House, are offered during this course. The workshop leader is Lee Betts. Lee is a truly gifted and magnificent IB Diploma music expert and comes to IBWISE with a wealth of 20+ years IB music teaching expertise and has had many years of experience as an IB Music examiner. She also leads our excellent Final IB Music Revision class during Spring break. Film is a collaborative art that relies not only on strong individual practical production skills, but also a firm grasp of the approaches to learning skills (ATLs) such as communication, critical and creative thinking, and reflection. This workshop will allow students to develop these skills and more through exposure to the five production roles of the DP Film program: writer, director, cinematographer, sound and editor, all in the context of the Portfolio (Internal Assessment), which a requirement of DP Film students at both the Standard and Higher Level. Participants will be provided with an opportunity to experiment with practical exercises in each of these five roles based on their own skill level and interest. They will also be guided on how to inquire, take action, and reflect throughout the creative process, and immerse themselves in the assessment criteria for the Portfolio. Additionally, the filmmakers will learn how to self-assess their work, as well as provide constructive feedback to their peers. In the end, the students will have a body of work to showcase and be well on their way to a successful IA. During the second module, students will be provided with an opportunity for a deep dive into one of the five production roles. Again, the work will be inquiry-based, allowing the student to challenge him- or herself to create a more complex short project. This involves research and risk-taking in a supportive environment and provides the student with a chance to collaborate with other filmmakers from around the world in their individual production roles. The workshop leader is Beth Dagitses who is a writer, photographer and educational consultant with a strong background with the key component of film – storytelling. Prior to working in education, Beth worked as a professional story analyst and later was a partner in a literary boutique Literary Management company. Beth has a B.A. in English Literature (Writing Option) as well as a M.Ed. in Cross-Cultural Teaching. She is a workshop leader for a variety of IB areas, including DP Film, Approaches to Learning (ATLs) in the DP, and Leadership, as well as a moderator for the DP Film Internal Assessment. She currently is the Dean of Curriculum and IBDP Coordinator at The American International School in Vienna. This workshop is an excellent opportunity for IB Dance students to strengthen individual technical skills over the summer holidays and to gain an understanding of what it needs to develop an effective performance. Students will get the chance to work with different choreographers and experience and train in various dance styles. Individual feedback and working in small groups will enable students to develop their interpretative abilities, while working on a dance performance with the whole group. The 2ndpart of the class covers all stages of creating an original choreography, from generating an idea, understanding and applying compositional tools, up to a successful performance of your own work. It is open for dancers with various backgrounds and styles and for those who wish to express themselves through the joy of movement! This workshop will also help guide students towards a better understanding of the IB programme and criteria in Dance. At the end of the course students will have completed their own choreography and get to collaborate with musicians and other artists throughout their sessions. The Workshop leader is Nanina Kotlowski. Nanina holds an MA in Dance Performance and studied at the Trinity Laban Conservatoire for Dance and Music in London. She works as a professional dance artist and highly talented IB Diploma Dance teacher and continues to perform in various theatres and dance festivals across Europe. Learn and participate alongside students. YAIR is a unique experience to learn new strategies as well as gain new insights into the way young people operate as artists! Experience the inter-disciplinary exchange between the IB-Group 6 disciplines – Theatre, Music, Visual Arts and Dance – reflect, integrate and profit from this unique workshop. 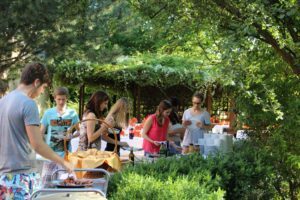 If this concept and idea interests you and/or you are a teacher who wishes to chaperone a group of your own students to our YAIR-Summer Workshop 2018 in Vienna, please know that we are thrilled to offer a limited number of spots in all disciplines for IB educators. Contact us for more details at office@ibwise.com or whatsapp/call us at: +436641306197. 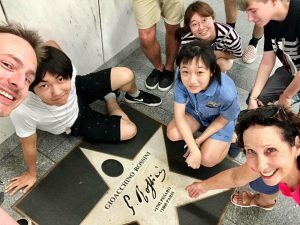 “Being able to participate in both the 7-day IB Theatre class (as a teacher as artist) allowed me to enjoy a 360-degree vision of our job as teachers. Indeed, it gave me the opportunity to be amongst students while still being a teacher. Participating in all the activities was a wonderful way to being reminded of how students feel, respond to, and react to the various tasks and situations they are confronted with; of course it is also simply a lot of fun to be in the midst of so much creativity. The professionalism and extreme kindness of everyone involved created the save environment needed for such an “experiment”. This week has not only allowed me the quality time to work and to reflect on my work, but also gave me an enormous boost of energy, and, yes, all this during the holidays! COMBINE our ‘Young Artists in Residence’ Summer Workshops with our PRE IB- or MID IB SUMMER REVISION COURSE !! Online registration: click our red SIGN-UP button on the right side of this page. 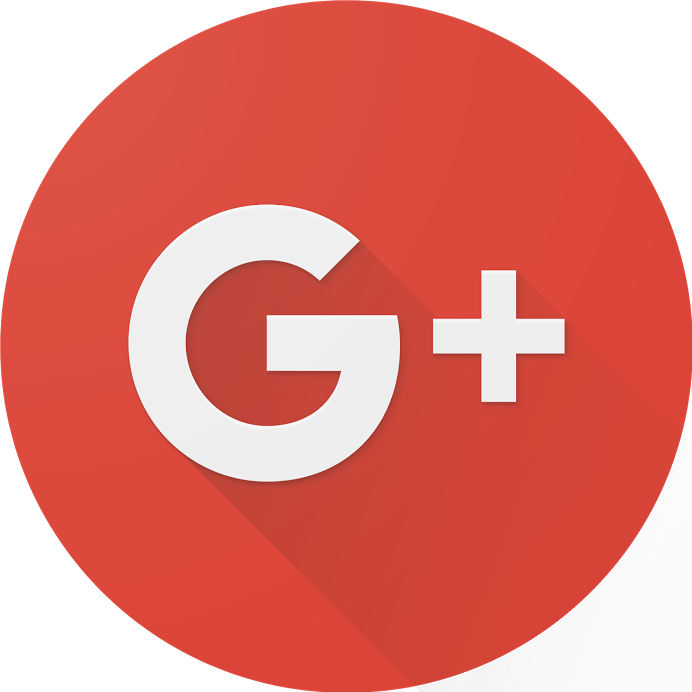 For further support, please reach out to us! *Boarding Student fees include half-board, snacks, drinks & accommodation in modern, 4-star rooms with en-suite facilities and free wifi on the IBWISE-Campus. Free airport pick-up/drop-off, all material and outings is included in the fee. ** Day Student fees includes lunch, snacks & drinks, all material and outings, as well as daytime supervision. For more details regarding exact timing of specific subjects, please contact us! Dear IBWISE, I wanted to let you know that I achieved 37 points in my final exams and was hence accepted at Warwick University. I am so relieved and happy. Thank you for your great course at Easter! Be part of our great team. For more infos, send us an email!